Ladies' show jacket Gillian made of material with X-COOL technology. 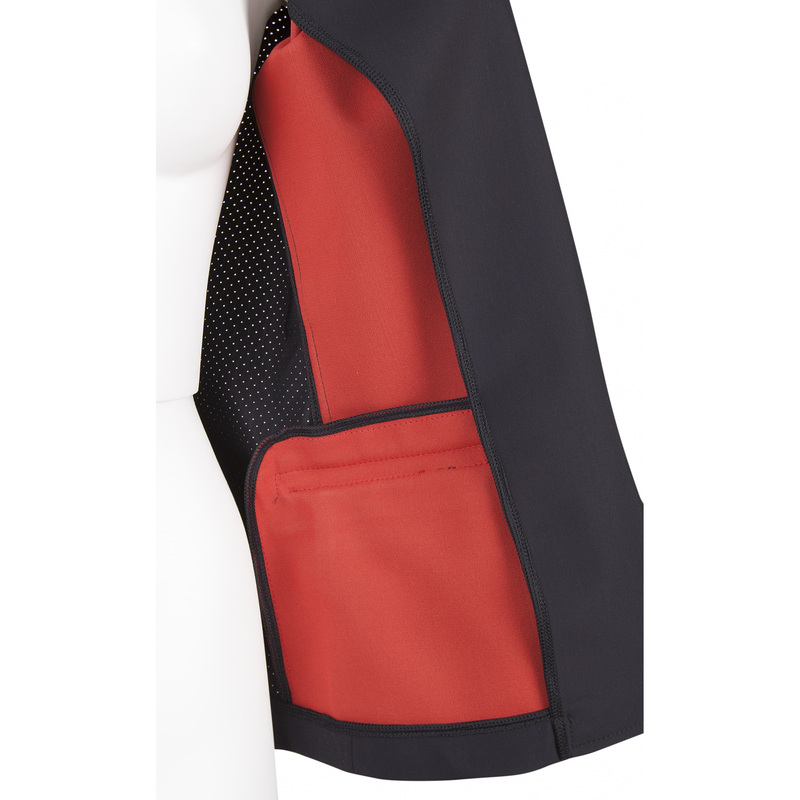 Thus it is breathable, elastic, moisture-draining and waterproof. 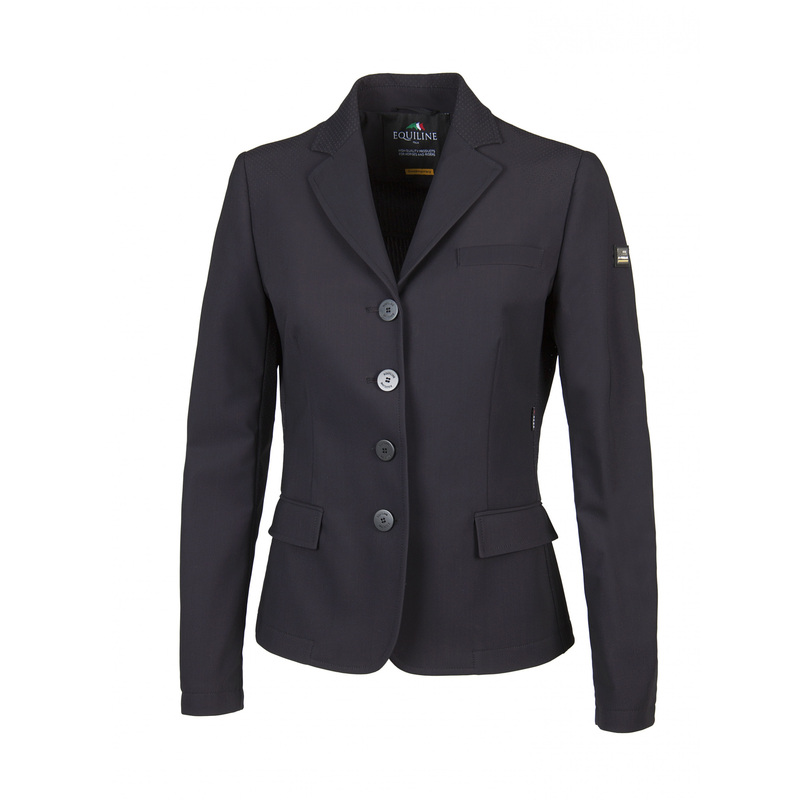 What is more, the jacket has a micropefrorated structure in its most delicate parts, which provides maximal comfort and ventilation during starts in competitions. 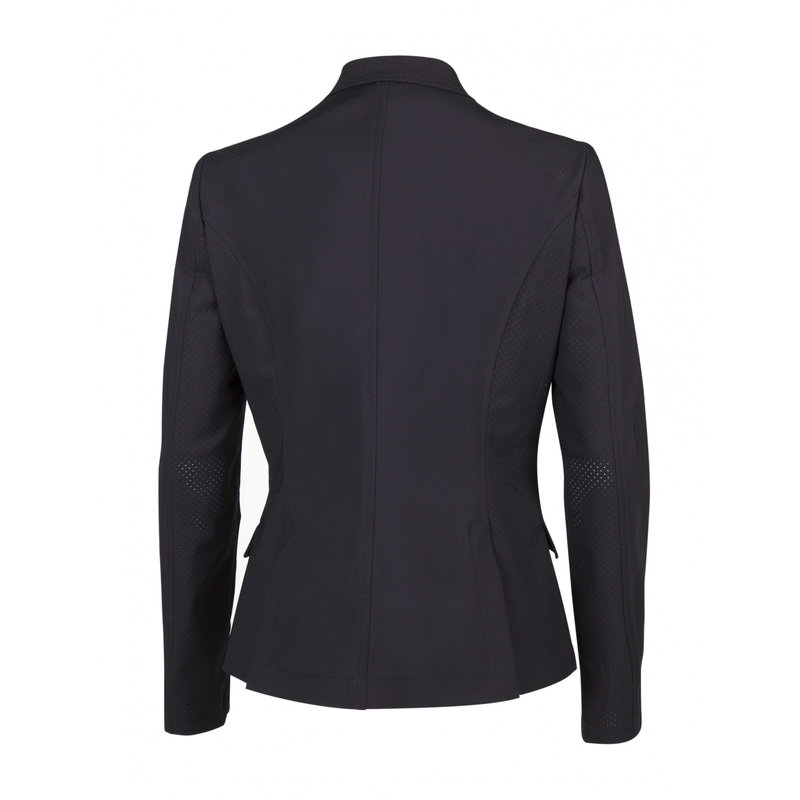 The jacket is of a classically waisted cut. 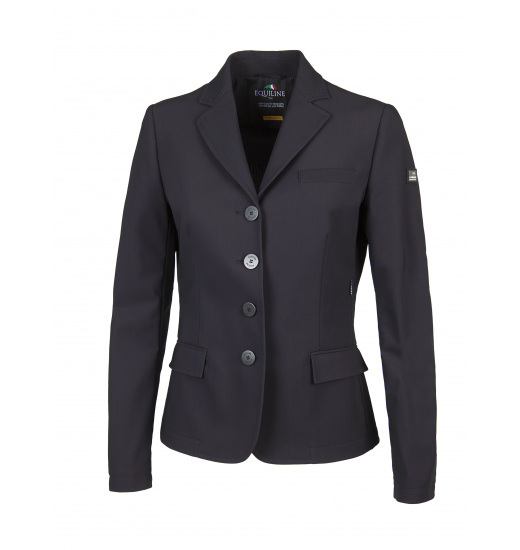 It is fastened with buttons and has a small metal Equiline logo on a shoulder.